Lennox EEF is by the Oldenburg Stallion, Lestat. His dam is our own, home bred & talented Canadian Warmblood mare, EEF Landelina. 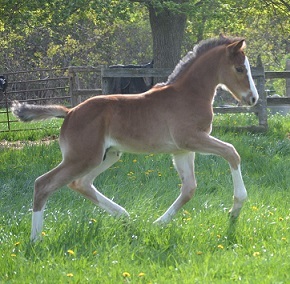 Lennox is a very correct, brave, and athletic colt with fabulous uphill gaits. He is very smart and has an incredible temperament. EEF Legend Has It, now known as Lioncourt EEF, is by the Oldenburg Stallion, Lestat. 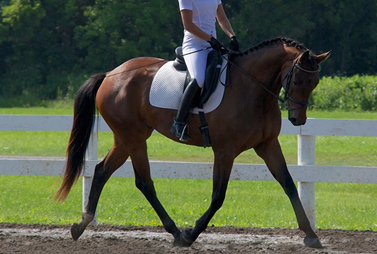 His dam is our own, home bred & talented Canadian Warmblood mare, EEF Landelina. 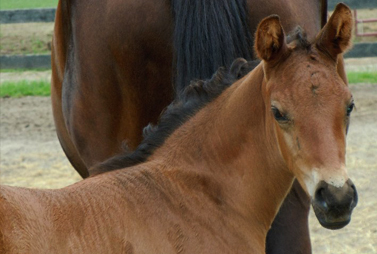 Legend is a very correct, tall, and athletic colt with an incredible temperament. He has 3 very correct paces and enjoys showing them off. 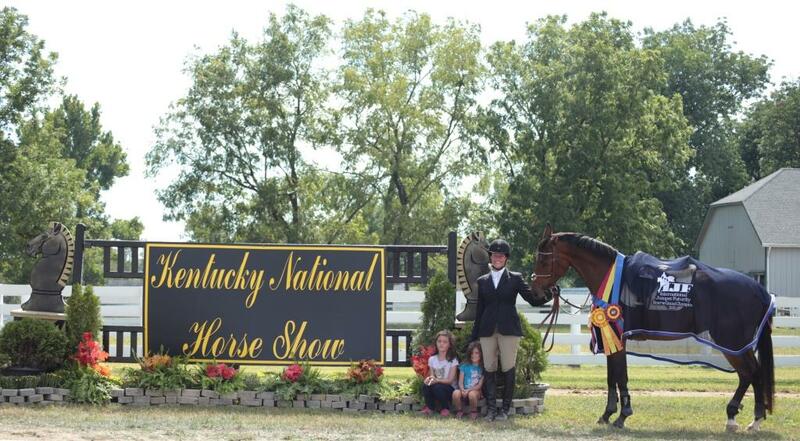 We are very excited to see what this boy is going to accomplish with his owners in the future! Out of our beautiful home bred mare, EEF Landelina & by Holstein (CWHBA Approved) Stallion - Cabardino, Bundeschampionat Qualifier with score of 9.0! 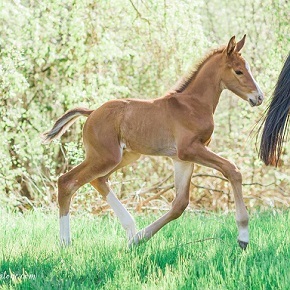 Cabardino produces tall, athletic foals with incredible technique & is the sire of Approved, Premium & Champion youngstock. EEF Caballero, meaning "Gentleman" has certainly lived up to his name being a lovely, laid back chap with wonderful movement & exceptional manners he is adored by his new owner & we look forward to their future! 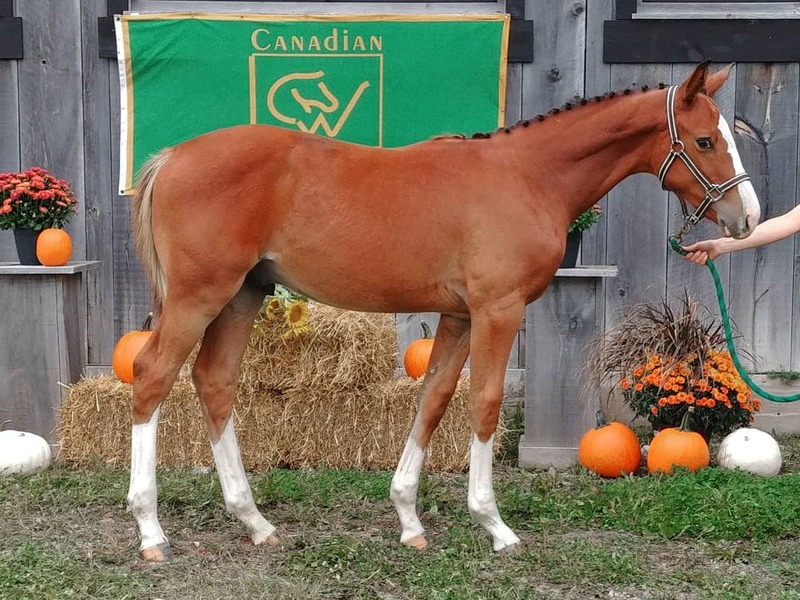 2017 | CHJA Year End High Point "High Training Division"
EEF Paragon is a nicely put together colt out of our Champion Canadian Warmblood mare Golden Affirmation & by Champion Westfalen Stallion & Bundeschampionat Pablo, who currently has over fifty offspring competing successfully at 'S' Classes, Grand Prix & at International FEI level. 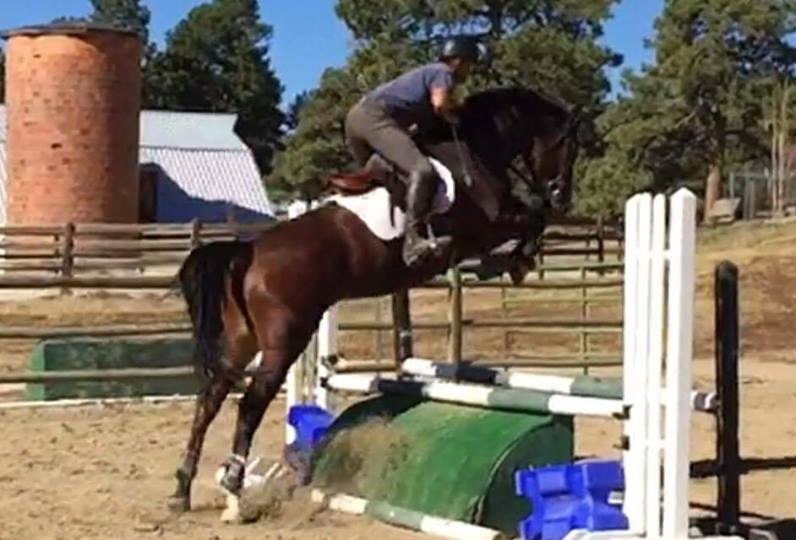 Expected to reach 16.1hh this athletic jumping bred colt has excellent conformation with a very expressive head & beautifully balanced movement. Handled daily from birth he is a confident, easy going character who is great with farrier, vet, kids & to catch, clip & trailer. We are thrilled EEF Paragon is adored by his new owner. He WON Reserve Champion of the Midwest International Jumper Futurity with a 9 for Ridabilty, 8.5 for Type & Movement and an 8.5 for Scope & Technique. We couldn't be happier with him and look forward to his many success in the future with his owner. EEF Paiva now known as Wilhelmina is by the KWPN Keur Stallion, Padinus who carried some of the best jumping blood in the world ~ including the 1.40's jumper Heartbreaker & his sire, Dutch legend Nimmerdor. 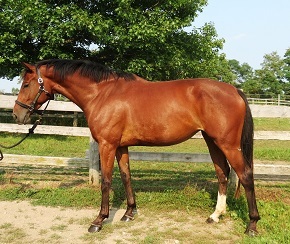 Her dam is our own, home bred & talented Canadian Warmblood mare, Golden Sunrise. 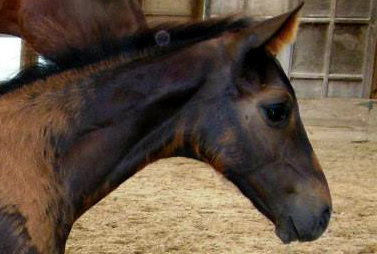 A tall, well proportioned filly Paiva currently stands 17+hh & is bold, brave & friendly. With a smart brain & quick front feet, she is already proving her breeding showing herself to be forward, balanced & scopey when loose jumping. Exceptionally well handled she is great with farrier, vet & to catch, clip & trailer. She has been started under saddle and is currently going walk, trot and canter. 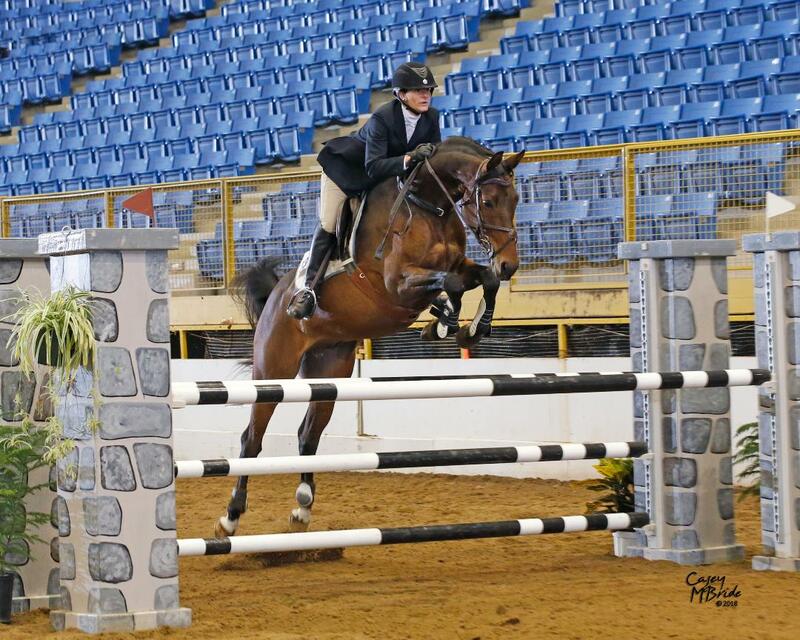 Paiva is sensitive and will require a quiet, confident rider to excel. Enquiries are invited for this well bred, well mannered & very talented mare. 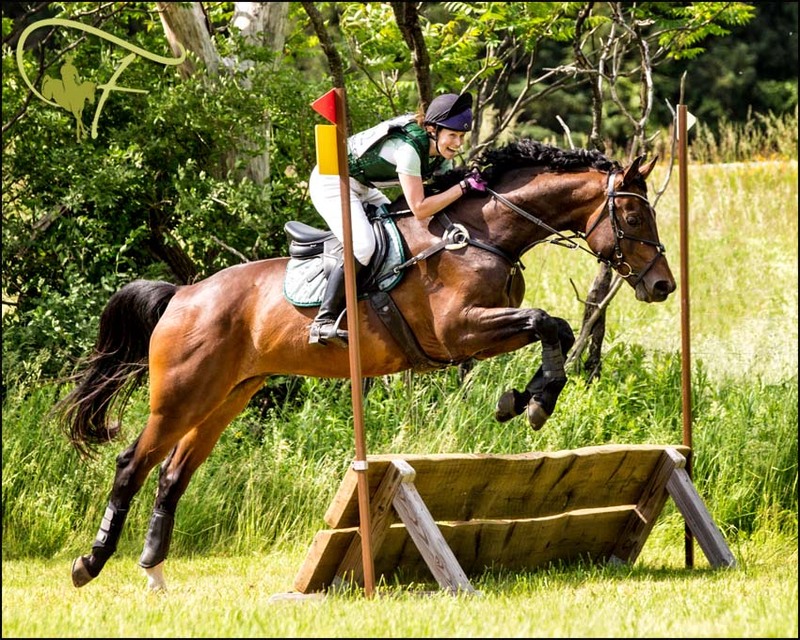 Now enjoying considerable BN Horse Trial success, EEF Sampson has proven himself a wonderfully natured, trainable & talented gelding. Out of our Golden Sunrise & by Oldenburg Approved & CWHBA Champion Licenced Stallion - Sambuca, who carries the internationally renowned Sandro line & who himself was the highest selling horse at the Elite Auction in 2005. 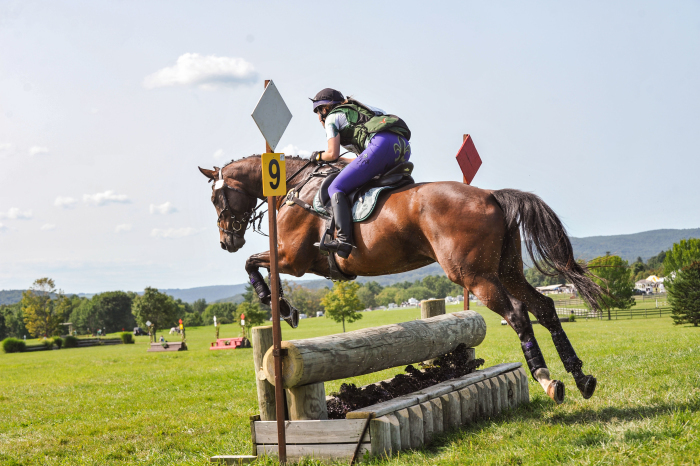 EEF Sampson impressed us from birth with his big, easy movement & forward thinking attitude & we are thrilled to see this benefiting his competitive career, recently winning 3 of the 4 Horse Trials entered this season.